KiiT International School provides a highly evolved, value-based education that moulds the children in developing into strategic thinkers and leaders. Within a span of 8 years, KiiT International School has evolved rapidly to become one of the most reputed schools in Odisha. The Education World Indian Schools ranking of 2017 ranked KiiT International School among the top-10 residential schools in India, and No. 1 in Odisha. A home like environment for the boarders. Providing exposure to artistic and social highlights through social interaction, hypothesis and perspective. The KIIT family of educational institutions exemplify centres of holistic education in a complete, stimulating, nurturing environment that helps each young mind learn and grow. With its motto of ‘Selfless service endless learning’ , KiiT International School is a proud member of this educational conglomerate. The story of KIIT Deemed to beUniversity is one of dedication, hard work, and perseverance. Within just six years from its inception, the varsity had undergone the remarkable transformation from being a small technical institute, to a multidisciplinary varsity. Having been granted the status of University (U/S 3 of UGC Act, 1956) by the Ministry of HRD, Govt. of India in 2004, KIIT also has the distinction of being the youngest deemed university in India. With a total of twenty-five sprawling campuses that span an area of 1.5 million sq.ft land, the university caters to the educational needs of more than 27,000 students from across the globe. The university is a conglomerate of nineteen schools that offer more than 100 academic programs, ranging from technology and management; to fashion, medicine and film studies. KIIT has been rightfully bestowed with the accreditation of the ‘A’ grade, by NAAC ; as well as the ‘Tier-1’ accreditation (Washington Accord) for all engineering streams by the NBA. Apart from providing quality education and a state-of-the-art infrastructure for the students, KIIT boasts of a diverse spectrum of extracurricular activities. The varsity has also been declared as an ‘A’ category university by the Ministry of HRD, Govt. of India. KIIT emphasises close collaborations between faculty and students to address academic, technological and societal challenges. A strong and effective tutor-mentoring system is among many innovative teaching-learning and student-friendly initiatives taken by KIIT. Students of the University have not only gone on to join some of the world’s most successful companies, but also excelled in fields of their choosing, including securing top ranks in UPSC Civil Services exams and participating in Olympic games as a member of Indian contingent. KISS located in Bhubaneswar, India – is a free of cost, fully-residential school for 37,000 indigenous students; this includes a mammoth body of 27,000 current students and over 10,000 alumni. 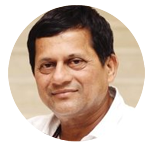 KISS was founded in 1993 by Dr. Achyuta Samanta, with a vision of a world free of hunger, poverty and illiteracy. The University empowers its 37,000 students by educating them through a holistic approach involving academia, sports and vocational training from Kindergarten to Post-Graduation. KISS priorities efforts to preserve the varied tribal cultures and languages from over 62 tribes, while simultaneously empowering its students to become Change-makers in their communities. KISS was recently granted ‘Deemed to be University’ status by the Ministry of Human Resource Development, Government of India, in 2017. It has also been in Special Consultative Status with the Economic and Social Council (ECOSOC) of the United Nations Organisation since 2015. The model of KISS is unique in providing need-based and demand- driven education for indigenous stakeholders as education at KISS is not just empower the child but a starting point for transformation for family and community. Engaging with a child and his/her family leads to imparting critical skills such as empathy, collaboration and respect for diversity among the tribal people. KISS does not offer one-time solution or patchwork – it brings an end to the dire poverty of remote rural households and chalks the pathway for many more institutions of its type to usher in change as a Lighthouse of Hope. High dropout and low quality education bedevil the mainstream government schooling. It’s therefore such a sharp relief that KISS Odisha has become a shining model of empowerment for the deprived tribal children. By educating thousands of children, he is shaping and creating a cohort of role models for every tribal and remote village in the country. Throughout the process, he is addressing two major challenges: Diversity and Inclusion. Students not only learn from teachers but from their peers as well. KISS model prepares these vulnerable children as empathetic problem solvers by making the classroom as an inclusive laboratory for their ideas and aspirations. Mother tongue based multilingual education removes language barriers and life skills as part of the curriculum build confidence to be self reliant and active partners of development in the process. A sense of identity amongst children and their communities for them to co-own and build the movement of creating opportunities for every tribal and disadvantaged child in the country has been spearheaded by the mission of Prof. Achyuta Samanta. KISS provides technical support to 500 Government Residential Schools in Odisha to impart Life Skills based training. There are over 100 District Resource persons, 500 Head masters, 1500 Government teachers trained under this programme. Thus, KISS reaches the unreached; covering 75 villages in 20 districts of Odisha and imparting Life Skills Education to over 1 lakh adolescent’s boys and girls. Thus, at a macro level it addresses the challenge from cognitive viewpoint. New Mind, New Dream and go back to the village is the mechanism by which 2000 staff and students of KISS, during the summer vacation, enable change through plantation, literacy and Life Skills Drive. The motto of KiiT International School is: Selfless Service Endless Learning. At KiiTIS, we have a vision of building leaders of tomorrow on the foundations of academic excellence and service to society. The school seeks to enrich childhoods with knowledge, insight, innovation & transformation. KiiT International School will lead and excel by engaging minds, transforming lives and serving others with compassion and empathy to scale the summit of education as a premier international school. We believe that each student is a unique personality who deserves to be treated fairly, respectfully and with understanding. The school should seek to provide every student with an opportunity to tap his potential and feel enthused to give his best through well planned curricular teaching, absorbing extracurricular activities and programs, and innovative and dedicated teachers. Children should be taught to value and respect themselves while appreciating and understanding differences. A happy staff is a motivated and unified team, supportive of each other and committed to the students unconditionally. Learning is a tapestry of moments of discovery and joyful insights that is fostered by cooperative learning systems, creative and innovative methodology, and intense pedagogical research. A positive, safe and purposeful environment ensures a productive environment for a child to develop the confidence and the skills necessary to be a lifelong learner. An amalgamation of these values and ideas is what awaits every student at KiiT International School, providing the ideal environment for every child to grow and flourish. A warm welcome to KiiT International School ! KiiT International School was established to fill the absence of an international school in Eastern India. In the preceding years, we have worked hard to give it a truly international character. The school is already offering the IGCSE from Cambridge and is now an IB World School, authorized by the International Baccalaureate Organization, Geneva, to teach the IB’s prestigious Diploma Programme from 2011. CBSE is offered as the national curriculum. KiiT International School respects cultures and religions of different nationalities, exuding an international ethos on its campus. Using the latest teaching methods, maintaining a low teacher-student ratio and emphasizing close relationships between teachers and students, all help students make the best of either curriculum – national or international. The pedagogy of the school, imparted by experienced teachers from different parts of the world, fosters creative thinking and problem solving abilities. However, the focus of KiiT International School goes beyond developing core academic competencies. It uniquely integrates ethical values in the curriculum to help children explore and internalize the virtues of truth, righteous conduct, love, freedom, non-violence and peace. The alumni of KiiT International School will be global citizens – academically excellent and socially concerned. Known as the City of Temples, Bhubaneswar is the capital of Odisha, situated in the Eastern part of India. It has a unique distinction of having a rich history dating back to many millennia, and at the same time being among modern India’s first planned city. The city is home to a large number of ancient Hindu temples and is in close proximity to world heritage site Konark and the world-renowned Jagannath Temple in Puri. The twin hills of Khandagiri & Udayagiri located in the city date back to the 2nd century BCE. Bhubaneswar is the only Indian city to have featured in the top 20 of the study titled ‘The Global Smart City Performance Index 2017’. The city is known among tourists to be a safe and welcoming city with excellent public transportation and modern amenities. It is also home to some of the finest educational institutions in the country, which is serving as the reason for its ever-increasing student population. The Biju Patnaik International Airport offers direct flights to and from various Indian and International cities. Being a major economic hub of eastern India, Bhubaneswar is also well-connected to all major Indian cities and towns via roads and railways.